Sarah Jessica Parker was spotted yesterday afternoon dressed down in some sweats playing at the playground at Washington Square Park with her twins Marion and Tabitha. 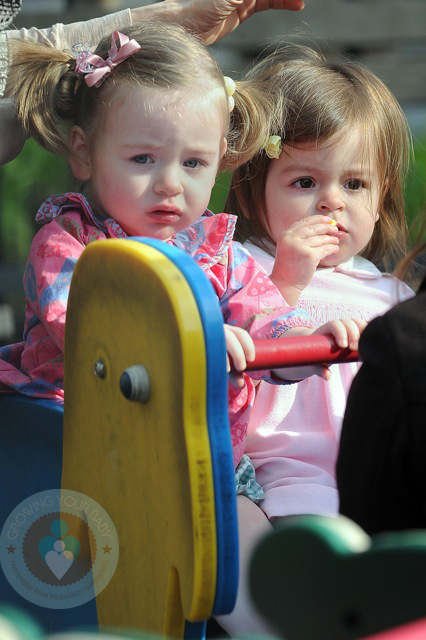 The actress split her time going between both of the girls playing on the slides, the swings and rockers. If curbed.com is right the Brodericks will be moving into some new home very soon. This week the online real estate site reported that Sarah Jessica and husband Matthew Broderick purchased a new $18.995 million townhouse in Greenwich Village. The girls and their older brother James will definitely have lots of room to play in the almost 7,000 square foot home!